The next few weeks on sample sunday, I’ll be showing samples from old writing folders. I explain it all out HERE. This week, two poems: both from the 1980s. 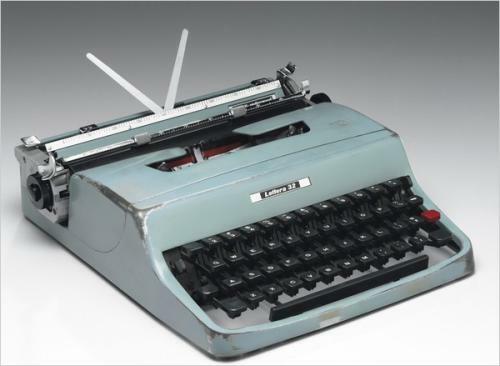 Typewriter early decade, Co-respondent middle decade. TYPEWRITER ages me. 🙂 I’m not sure if you can replace the rhythm of tiptap, with clickclack. Because you are missing the essential sound break of a carriage return of the zip. Only someone who has written on a manual typewriter, may understand what I’m whittling on about. Or not. The photo is of my actual typewriter. Or the model. My own one, was thrown out some years ago, something I regret. I was getting rid of a lot of old clutter in my life, and it was important to throw stuff out. The typewriter you see pictured, is the one thing I disposed of in an entire skip of stuff, that I should have kept. I rue the day. Both poems were typed on it. Changeling was started on it: I still have the first typed sheet. CO-RESPONDENT It was quite surprising to me, to re-read this one, and find the image of the new mouth being carved open on skin. My readers will recognise that imagery from the last few chapters of Changeling. And there, I’d used it, all those years ago, and that chapter was written in the past 9 months or so. All that time, the imagery had been there in my mind, awaiting release. Wow. They would not be told. And I would not speak. And I would not tell. And they would not hear.